A German game from many years ago. 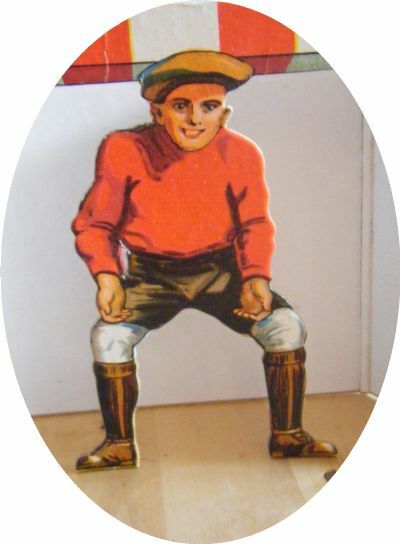 Extremely simple and a bit boring after about 30 seconds! Lovely graphics though. 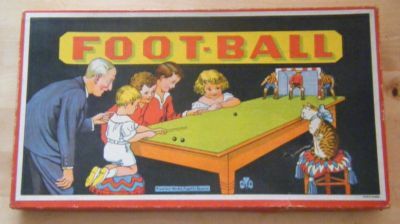 This game is a cross between football and snooker/billiards. 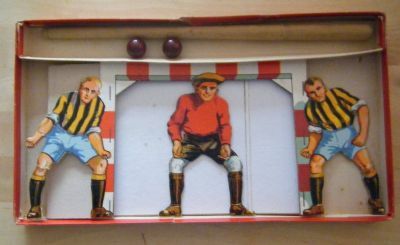 Contents are a card goal, 2 balls and a small snooker cue. 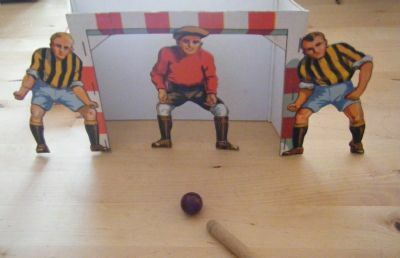 Shoot the ball at the goal using the snooker cue - just like real football!